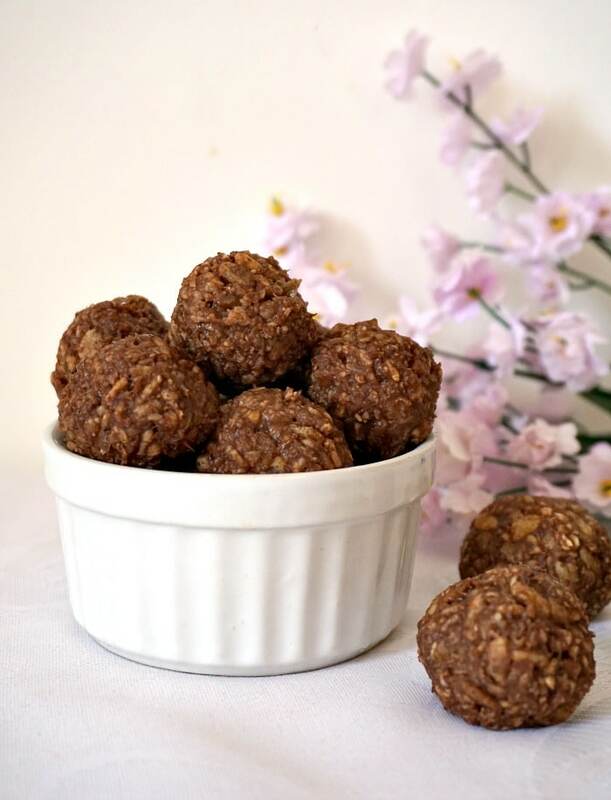 Rice Krispies Peanut Butter Balls, a healthy back to school snack to fill you up with energy. Yummy rice krispies, finger-licking peanut butter, delicious ripen banana, nutritious oats, and a bit of good-quality cocoa powder. And nothing else, no loads of powdered sugar, no junk. You won’t believe how tasty these balls are! l don’t know about you, but l can’t possibly go through the day without a snack. I get so hungry in between meals, and just fruit or vegetables to munch on, won’t fill me up. And when l get hungry, there’s always the danger of reaching out for proper junk. As you do, isn’t it? We all know the truth behind all these so-called healthy cereal bars that supermarkets try to fool as with as being the best thing you can possibly have. Yeah, right! Check the package and you’ll be shocked how much sugar, syrup and other additives they have. They are anything but healthy. The sad thing is that we tend to believe without doubting, thus feeding ourselves and our kids with calory bombs. We can do so much better! While l won’t deny that the rice krispies have their fair share of sugar, they are probably less sugary than other cereals out there. And this is why there really isn’t any need of adding any more refined sugar. Plus, we have the banana that is naturally sweet and does a great job at bringing the ingredients together to shape them into balls. Same does the peanut butter, the rich, nutritious and delicious spread we can’t have enough of. Careful though what kind of brand you buy, some of them have nasty ingredients added. I always go for the Whole Earth ones, they are the best. How do you make rice krispies peanut butter balls? 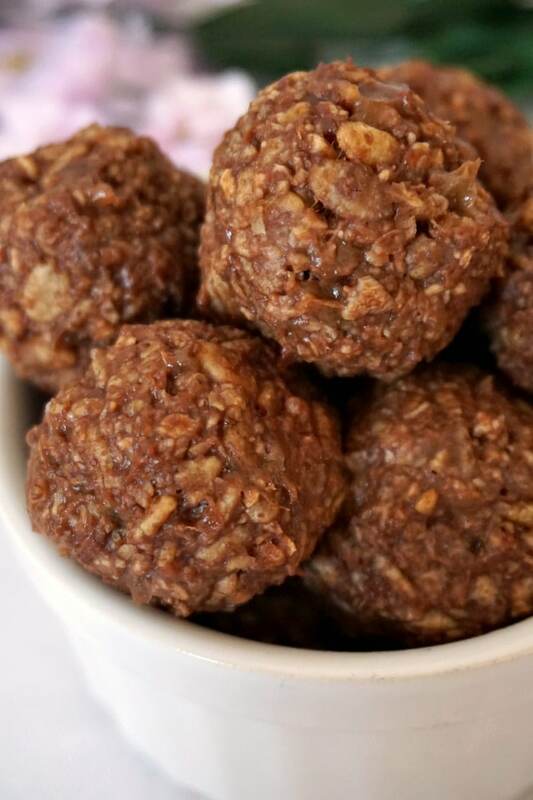 This fantastic no-bake snack couldn’t be easier to make. 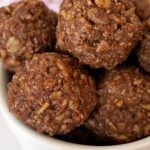 All you have to do is mash a banana with a fork, add the peanut butter, rice krispies, cocoa powder and oats, shape into balls and refrigerate. And that’s it! Nothing else to be done, except enjoy a great snack that has no refined sugar added. There are 47 calories per ball, and they are really filling. The amounts listed below make about 10 peanut butter rice cripsy treats, depending on what size the have. If you prefer bars, rather than balls, just place the mixture onto a non-stick tray and chill in the fridge for about an hour to firm up a bit. Oats can be omitted if you only want to use rice krispies, just add half a cup more. You really don’t need a measurement cup here, just a plain tea cup/mug would do. Other than that, just enjoy your snack. Looking for more healthy snacks? What about some no-sugar chocolate oat bars? And guess who was trying to steal the balls when mummy was getting her camera ready? My cheeky monkey Amy with her chubby little hands. I always try to take photos while she has her afternoon nap, since l know how mischievous she is, but this time l was busy with her little baby sister, and did not finish on time. She was so cute though, she wanted badly to see what mummy was up to. Were those balls for playing, or what? She did get a few as well, and she loved them. If Amy likes something, it must be really good then! If you’ve tried these RICE KRISPIES PEANUT BUTTER BALLS or any other recipe on the blog then don’t forget to rate the recipe and let me know how you got on in the comments below, I love hearing from you! You can also FOLLOW ME on FACEBOOK, and PINTEREST to see more delicious food and what I’m getting up to. 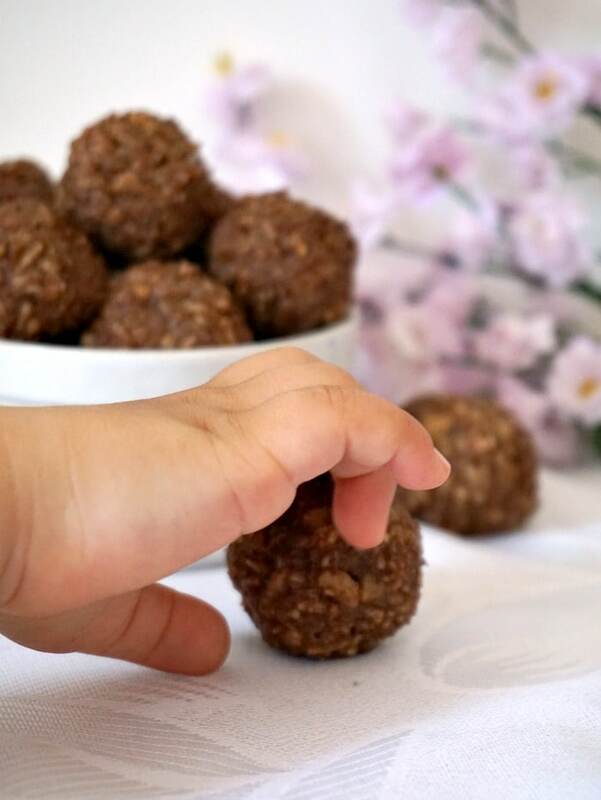 Rice Krispies Peanut Butter Balls with no refined sugar added, a healthy afteschool snack to fill you up with energy. The are some great treats for little and big tummies. Peel the banana, then use a fork to mash it. Add the peanut butter and mix well until you get a smooth paste. Add the rice krispies, oats and cocoa powder, mix well, then shape 10 balls. I think I’ll be needing these right now! These look amazing! Thank you for sharing at Fiesta Friday party this week! They look so delicious! I love how easy you can make them. I think I might just try them out! Oh, no! I’m out of rice krispies 🙁 This sounds so deliciously easy. I know my toddler will want to get in on the cooking action with these! Oh I am sure you will have fun making them with your little one! What a great idea! 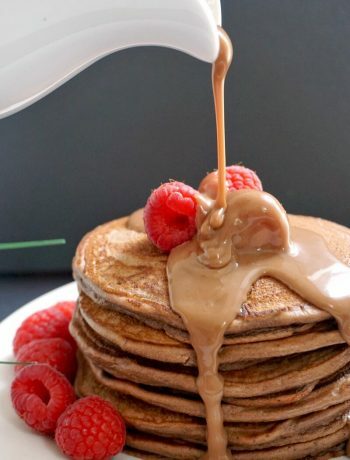 I think I have all the ingredients on hand, so will be making these soon! My husband is constantly snacking on things … store bought granola bars aren’t much better than candy bars. This would be a good replacement for him. Thank you, I am sure he will love them! I love simple recipes like this that I can keep on hand for snacks. These sound perfect for my sweet tooth. Easy, and fun balls are very good in summer times. we can make these with our kids. Looks delicious! These are so cute.. Would be a great treat to serve the kids when they come over on play dates. I’m always busy to make things so this would be easy peasy!! 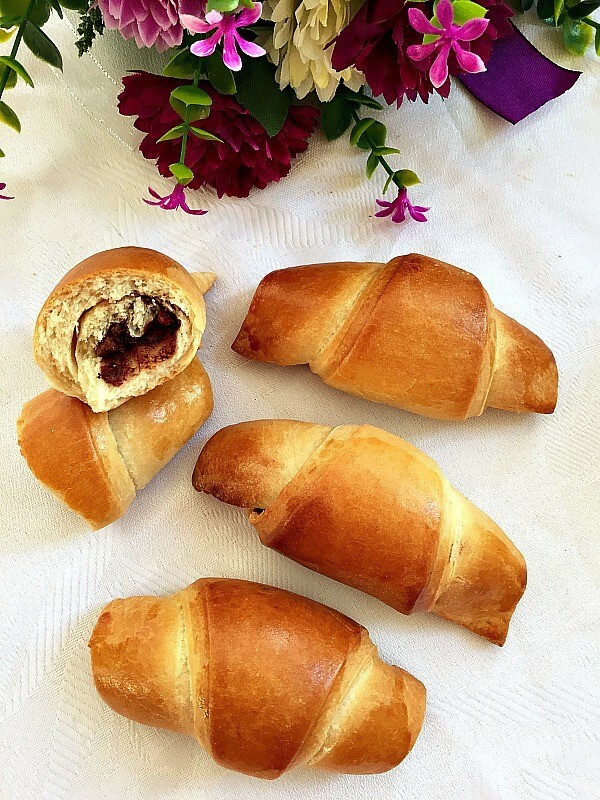 I’m sure kids will love them, they are super easy to make and very delicious! These rice krispie balls are just what I need for a quick snack during the day! I love that their is no refined sugar added to the ingredients! These look so delicious and would make a great post exercise snack. I always have energy balls at home and would try this combination too. These look like they have great texture. I like how easy they are to make, and I bet they could be made to be gluten-free pretty easily. Hi Jenny! Thank you for your message. The rice krispies become soft and chewy from the mashed banana and peanut butter. However, if you have the balls strightaway, they will still be crispy. I prefer them cold from the fridge tough. I hope this helps! Thank you very much, no l did not hire a developer, l did it all by mysellf. It is nice to see you like it. Your mode of describing all in this post is genuinely nice, all be able to effortlessly understand it, Thanks a lot. Good day! I could have sworn I’ve visited your blog before but after looking at a few of the posts I realized it’s new to me. Regardless, I’m certainly pleased I found it and I’ll be book-marking it and checking back frequently! Hi! Thank you for your message. It’s pretty simple, you don’t need to know a lot of techy stuff, l’m really not good to that myself. It depends on which theme you go for and what niche. Very great post. I just stumbled upon your weblog and wished to say that I’ve truly loved surfing around your weblog posts. After all I will be subscribing in your rss feed and I am hoping you write again soon! These are such a great low sugar snack! Love that PB/banana combo. 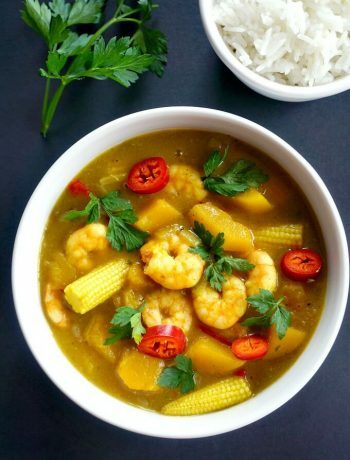 Hi, I’m actually new here and made this recipe recently. Whole family loved it, including my little kiddo. I wanted to know how long these keep in the fridge/freezer? I wanted to make a batch possibly and have them ready as an after school snack for my little one. Hi! Thank you for your comment! I’m glad you liked them, my little one loves them! I would make them the night before and cover them with kitchen foil before refrigerating. They tend to dry out if left too long in the fridge though, so best to have them within 24 hours. I hope this helps! Umm….this recipe looks great. However, are you aware that rice krispies are NOT gluten free? And that the gluten free version they did make for awhile is no longer available? Hi Hanna! Thank you for your comment! I was not aware of that, l did check the ingredients list when l was writing the post and did not spot the ingredient that had gluten, l would have not deceived my readers had l known they do have gluten. I’ll amend the post, thank you for letting me know!